Learn more about the advantages of getting composite dental fillings in Beaverton. 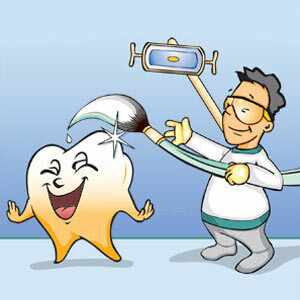 All fillings have their own pros and cons but the most popular dental filling used is made from composite resin. Why? Because it offers the most attractive and realistic option for those looking to repair their smiles without other people being able to tell. After all, silver and gold are extremely strong materials but they are very visible and can be a turnoff for some patients. While composite resin fillings can be used on any teeth they are most often used on teeth that are visible when you smile. This way, no one will know that you even have fillings. Composite resin is made from tooth-colored plastic and other materials so it blends perfectly with the color of your tooth. Plus, your general dentist in Beaverton also matches the resin to the color of your teeth before applying, that way you’ll have a restoration that is impossible to see. Aside from the aesthetic benefits of choosing a composite filing, there is also less tooth structure removed to accommodate a composite resin filling over a traditional silver filling. More tooth enamel removed can affect the integrity of the tooth over time, so the less preparation and removal necessary the better. Getting dental fillings is a fairly easy and simple procedure and you know that at the end of your procedure you’ll have a healthy, restored tooth again. Whether you have questions getting a dental filling or you need to schedule your six-month cleaning you can always turn to our Beaverton, OR dental office for all of your needs. Noland Dental offers a comprehensive range of services so that everyone can get the smile they deserve.